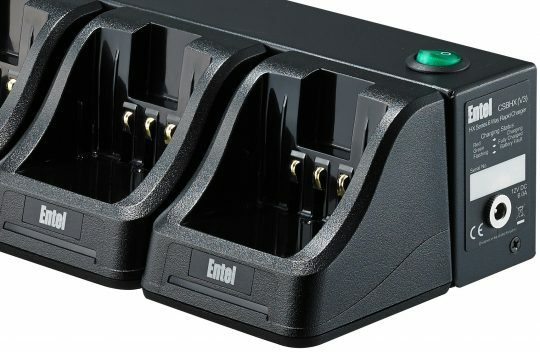 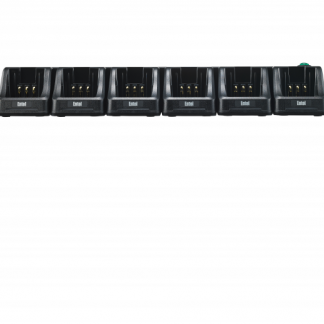 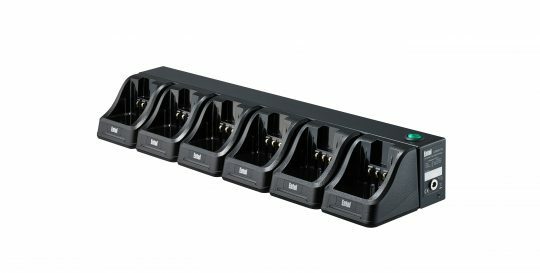 This six pod intelligent rapid mains charger ensures that the batteries only receive the correct amount of charge. 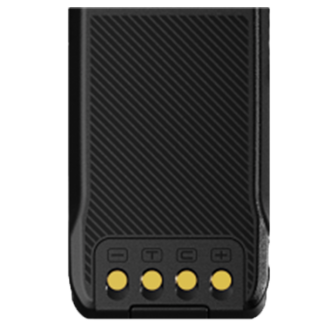 Charge status is indicated on each pod via a multi-coloured LED so you will know whether the battery is fully charged before use. Charger operates between 110-230V. 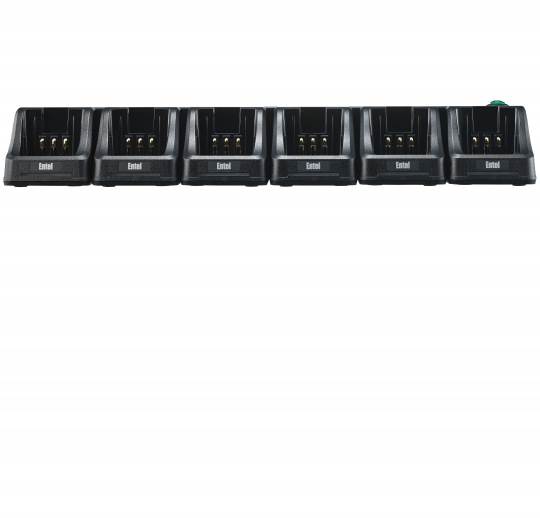 Due to the high capacity of the Li-Ion battery pack, charge time is approximately 3 hours. 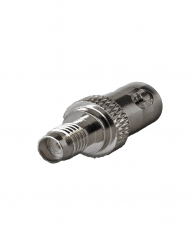 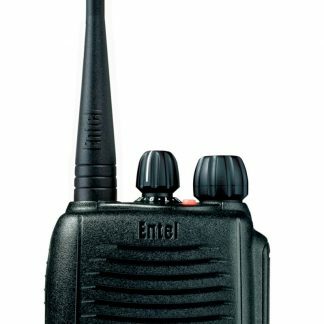 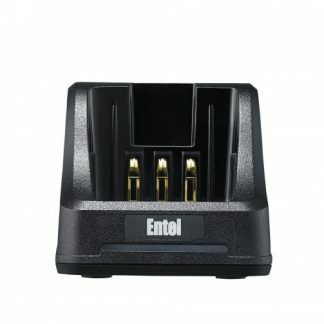 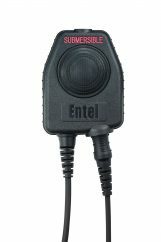 It is suitable for Entel HX and DX series radios.